When you’re shopping for a high-quality, family-friendly SUV that’s sure to last for years to come, trust the new 2019 Toyota RAV4 to meet all your needs. The new RAV4 offers a host of interior features and modern technologies to keep your whole family safe and entertained as you travel through Maine and beyond. Plus, the new Toyota RAV4 factors into your budget well with its high fuel economy and competitive 2019 RAV4 price. You’re sure to be impressed by the Toyota RAV4 gas mileage. If you’re ready to learn more about the differences between the 2019 Toyota RAV4 Limited Edition, Toyota RAV4 XLE and other RAV4 trims, visit our Toyota dealership near Augusta, ME. We’re here to help at every turn! Get in the driver’s seat of a new Toyota SUV that will make you excited for every drive! 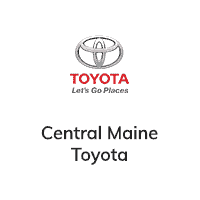 Visit Central Maine Toyota to learn more about the 2019 Toyota RAV4 changes, or to test-drive a 2019 Toyota RAV4 Limited. Be sure to ask about current 2019 Toyota RAV4 lease specials to see if you can save. *Based on 2019 EPA mileage/highway estimates and driving range ratings. Use for comparison purposes only. Your MPGe/MPG and driving range will vary depending on driving conditions, how you drive and maintain your vehicle, battery age/condition, and other factors. For additional information about EPA ratings, visit https://www.fueleconomy.gov/feg/label/learn-more-PHEV-label.shtml.